Key GoPro Mountain Games athletes have been hitting the airwaves on KZYR (photo courtesy of GoPro Mountain Games). The GoPro Mountain Games has always looked good on video – this year the event is sounding good on the radio as well. Athletes like Joseph Gray, Josiah Middaugh, and Nick Troutman are among those who have been interviewed on the Vail Valley Foundation’s VVFM radio show, a project of the Vail Valley Foundation and KZYR 97.7 the Zephyr, a local favorite in the Vail Valley. More interviews are scheduled between now and the end of the Mountain Games, so check back here for updated links as the interviews come out. 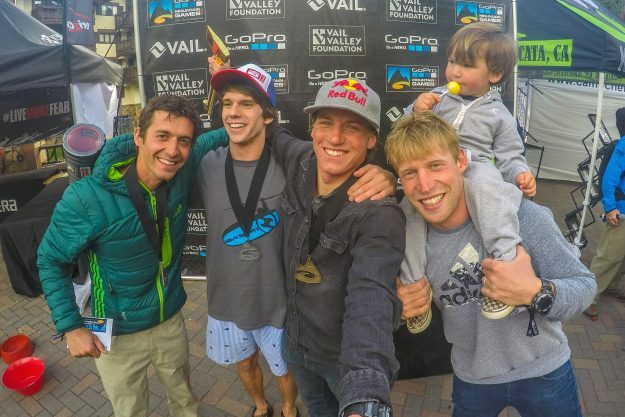 The GoPro Mountain Games get under way June 9-12 in Vail, Colorado. Attendance is free, and you can register to compete on the official GoPro Mountain Games website.